Dupaco Community Credit Union’s BJ Duehr is in the business of helping members. Now he’s giving his own finances a makeover. It was during a meeting with his financial advisor when BJ Duehr broke down. 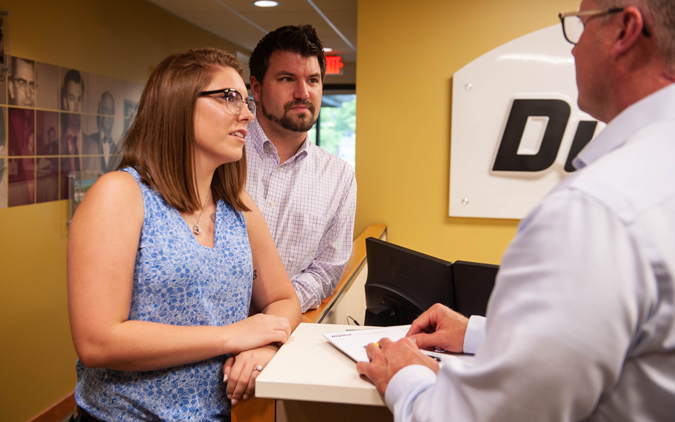 He told Dupaco Financial Services’ Cole Schmelzer that his student loans were killing him, and he and his girlfriend, Madison, weren’t saving enough. When BJ crunched the numbers in May 2017, he was disheartened to realize they had about $75,000 worth of debt, including car, student and personal loans. Each month, they were putting about $2,000 toward those loans, leaving no wiggle room in their budget. That’s when BJ came up with an ambitious plan to eliminate their debt over the next four years. Madison had her doubts, but she was willing to give his crazy plan a try. “Live like no one else, so you can live like no one else.” It’s a line from “The Total Money Makeover,” and it’s stayed with BJ ever since he read the book. He proposed that he and Madison live just like that. Instead of continuing to pay rent to live with their friend, BJ suggested that he and Madison move in with his parents for a year, so they could live rent-free and put their paychecks toward their debt. BJ’s parents, who aren’t “cat people,” had to warm up to the idea of letting Madison’s cat make the move, too. “I wasn’t as open to the idea of moving in with his parents as he was, but it has been fine,” Madison said. To pay off the loans even faster, BJ and Madison took on more jobs. BJ took on a part-time job cleaning Dupaco branches, while Madison has worked anywhere from two to three jobs at a time during the past year. Being a numbers guy, BJ regularly looks at their loan balances and interest rates, and he has planned some strategic debt consolidation along the way. When they paid off BJ’s car loan, they used his car title to refinance his student loans, reducing his interest rate from more than 10 percent to 3.69 percent and shortening the life of the loan by a few years. Every dollar they bring in has a home. They use several Dupaco checking and savings accounts, both joint and individual, at the credit union. They’re big fans of Dupaco’s automatic transfers—BJ’s money automatically transfers to seven accounts, and Madison’s goes to six other accounts when they get paid. It helps them budget to pay bills, pay down debt and build their savings. MORE: Learn how a zero-sum budget can help you save more. BJ’s checking account is set up to automatically transfer half of any remaining balance the day before payday to go toward his car loan. Madison puts her leftover money into a savings account for fun and travel down the road. It hasn’t been without its challenges, though. Last year, Madison’s car was totaled. But because a new car wasn’t in the budget at the time, BJ made a case to hold off on buying a second vehicle for a few months. He suggested that Madison drive his car to work, while he walked to his job. Fast-forward to today, and the couple has paid off about $26,700 worth of their debt over the past 15 months. During that time, they even got married—and were able to do so without borrowing a dime. BJ anticipates they will have their debt paid in full in about three more years. The couple recently fulfilled a dream of theirs to move to Texas to live closer to friends, continuing to work remotely for their Dubuque employers. They’re back to paying rent, but BJ is hopeful that they’ll have his refinanced student loan paid off in the next year so they can buy their first house together. They’ve already been saving for their down payment with a Dupaco term-share certificate. MORE: Learn how you can save with certificates. BJ and Madison said their debt-reduction journey—and being honest with each other about their finances—has made them stronger as a couple. “Doing this just reaffirmed for me that this is the person I wanted to marry, that I was willing to spend the rest of my life with,” BJ said. Their journey has been full of teachable moments, and they hope you can learn from their experience, too. It starts within yourself. BJ wouldn’t recommend their aggressive plan to others. But even sticking to smaller goals of debt reduction won’t happen unless you want it to. “It sounds cliché, but anything is possible when you put your mind to it,” he said. Have a plan. Maybe don’t keep a budget for your budget, but create a budget that works for you, and stick to it. Revisit it any time your goals or financial situation changes. MORE: Need budgeting help? A free Dupaco Money Makeover can help! It won’t happen overnight. 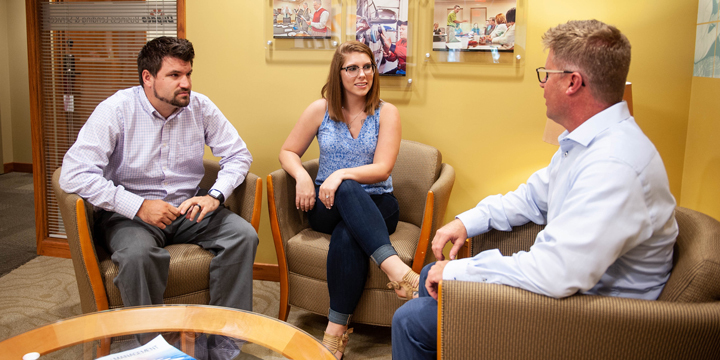 BJ is fond of telling Dupaco members, “You did not accumulate this debt overnight, and you’re not going to pay it off overnight.” He and Madison are about one-third of the way finished paying off their debt. It started with the first loan, then the second and so on. “Know that every little bit adds up over time,” BJ said. Reward yourself along the way. Even if you’ve got an ambitious goal to save or pay off debt, leave yourself some fun money, too. “It would be harder if we didn’t allow ourselves to have some fun, too,” Madison said. Be patient with yourself. Working multiple jobs or having less discretionary spending can feel discouraging at times, but remind yourself that it won’t be like this forever, Madison encouraged. “If it was easy, everybody would be doing it,” BJ agreed. Even so, Madison is grateful for their financial journey together. “I don’t think there’s anything I would have done differently,” she said.